Stephanie and I have always had an interest in history. Although we both grew up in different parts of the United States, one of the things we love most about living in the Washington, DC area is that we are surrounded by history. 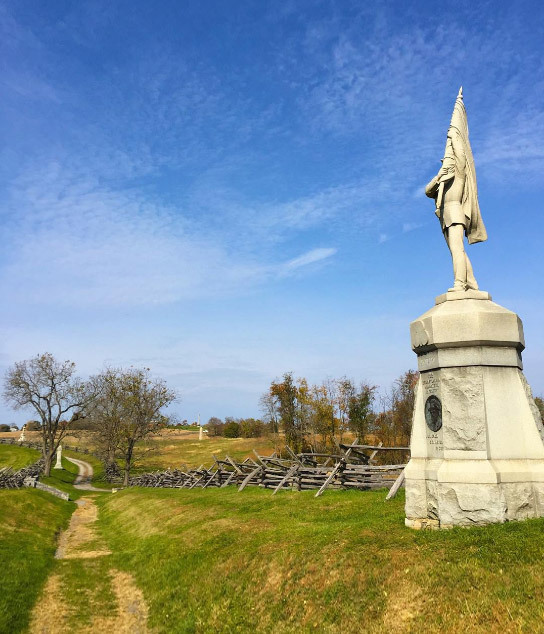 There are countless historic sites and landmarks throughout the Northern Virginia and Washington, DC area, but some of our favorite places to visit are the Civil War Battlefields. The American Civil War was fought between 1861 and 1865 between the northern states (the Union) and the southern states (the Confederacy). Growing up in the United States, we learn all about the Civil War in school, but reading about it in a textbook and seeing it in person are two completely different experiences. Walking through the open fields, touching bullet holes left on the side of a 150 year old building, and seeing artifacts from each location can connect you with history in a way that no book (or blog) ever could. 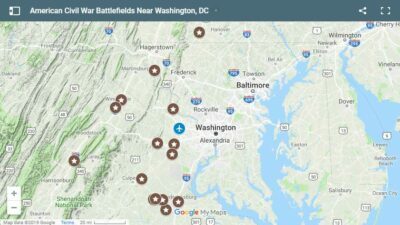 Since many people fly into Dulles International Airport in Northern Virginia when they plan a trip to Washington, DC, we wanted to highlight some of our favorite battlefields that are located within a short distance from there. 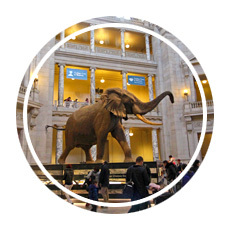 In fact, each of these sites are located within an hour and a half drive from Dulles. 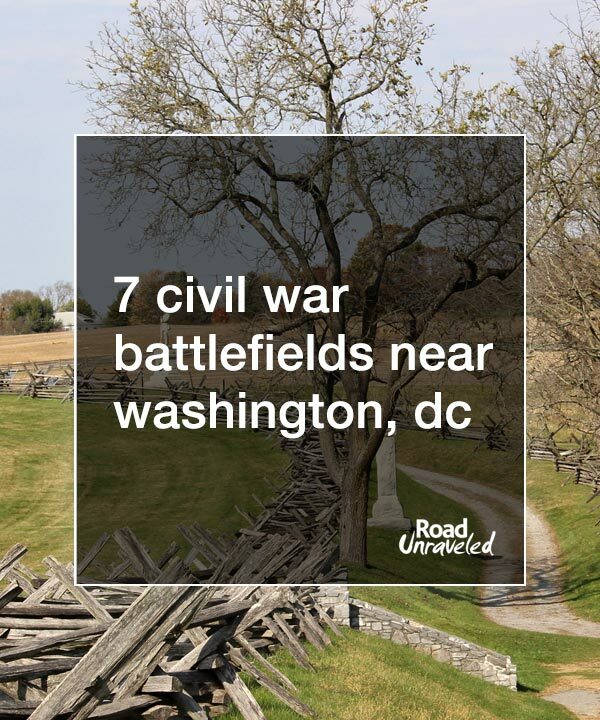 Here are seven Civil War battlefields to consider visiting on your next trip to Washington, DC. Manassas, Virginia was actually the location of two separate battles during the Civil War. 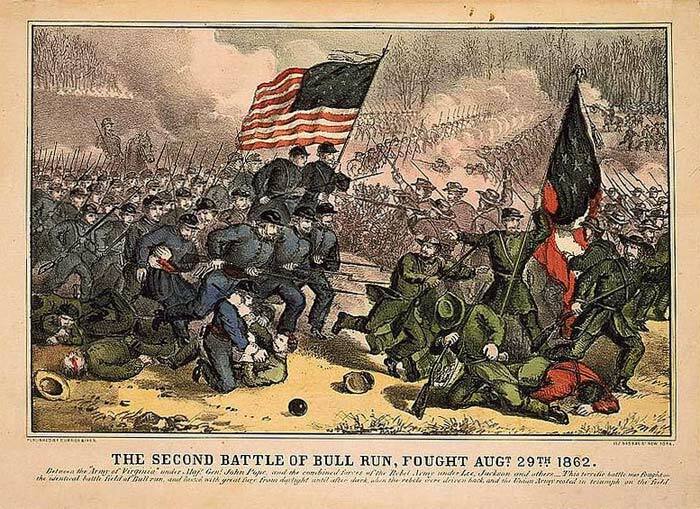 The first Battle of Manassas (also known as the first Battle of Bull Run) took place in July of 1861, and the second Battle of Bull Run followed a year later in August of 1862. The first Bull Run was among the earliest of the Civil War, and many of the local residents were not aware of the horrors that were to come. In fact, many residents arrived with picnic baskets and opera glasses and watched the events from nearby hills as if it were theater. The bloodshed they witnessed made it clear to all involved that the Civil War would not be quickly resolved- and it certainly wasn’t for entertainment. The second Bull Run occurred just over a year later on the exact same land, but it was much larger in scale. While both battles ended in victories for the south, the second Bull Run gave Confederate General Robert E. Lee the confidence to move forward with plans to invade the north. This would result in the Battle of Antietam a month later. The Henry Hill Visitor Center is the place to start your exploration of the grounds. Be sure to check out the Stone House and the Henry House for an up close view of historic buildings that survived both battles. 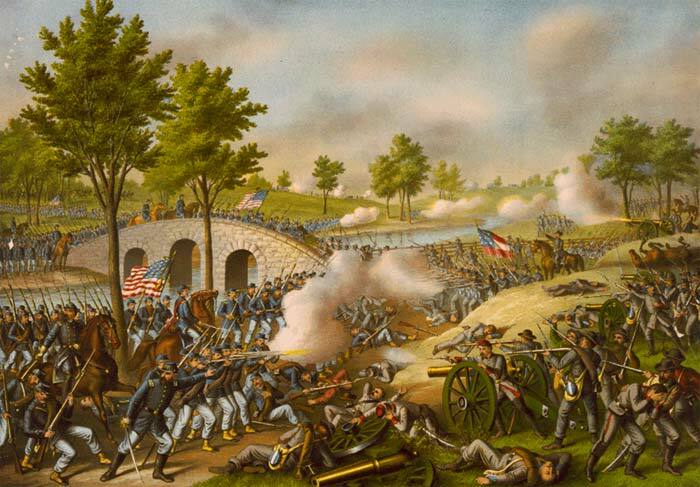 The Battle of Antietam in Sharpsburg, Maryland is known as the bloodiest single day battle in American history. 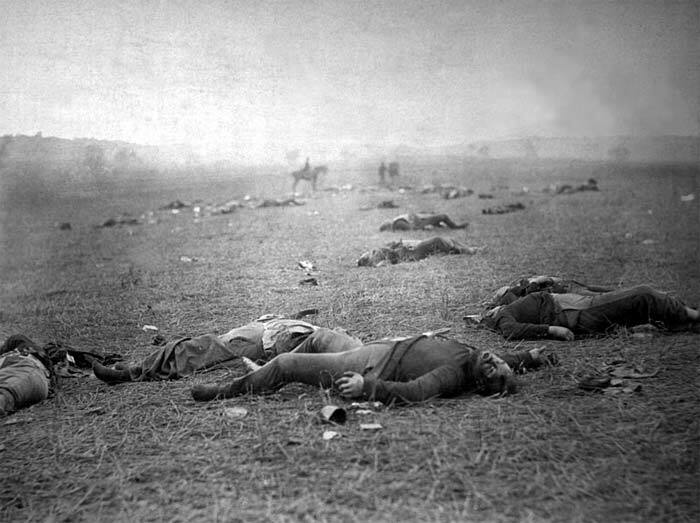 On September 17th, 1862, more than 23,000 soldiers were killed, wounded, or missing after twelve hours of brutal combat. 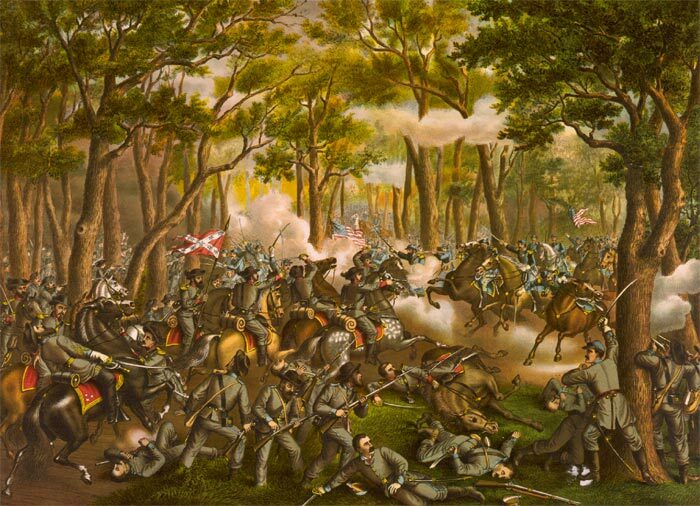 This was the first major battle of the Civil War to take place in a northern state, signaling an attempt by Robert E. Lee and the Confederates to invade Union territory. Although the Battle of Antietam was tactically inconclusive, the impact was felt in two very important ways. The Confederate retreat gave Abraham Lincoln the confidence to move forward with the historic Emancipation Proclamation, and the lack of a decisive victory by the Confederacy discouraged the British and French governments from recognizing the Confederate States of America as a diplomatic entity. The south needed a major victory to earn Europe’s support, but the battle of Antietam didn’t deliver. 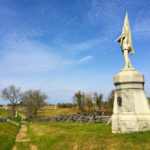 The visitor center highlights all of the main areas of the battlefield, but a stop by Burnside’s Bridge, Dunker Church, and the Sunken Road known as “Bloody Lane” are essential for any visit. 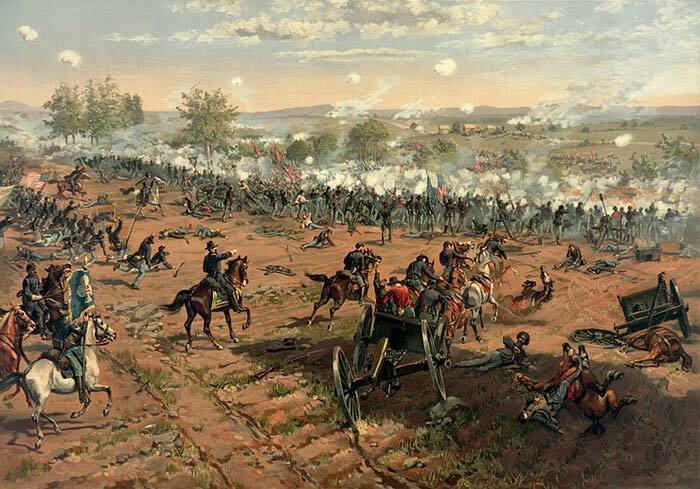 Nearly 100,000 men died over the course of four separate battles near the small town of Fredericksburg, Virginia. 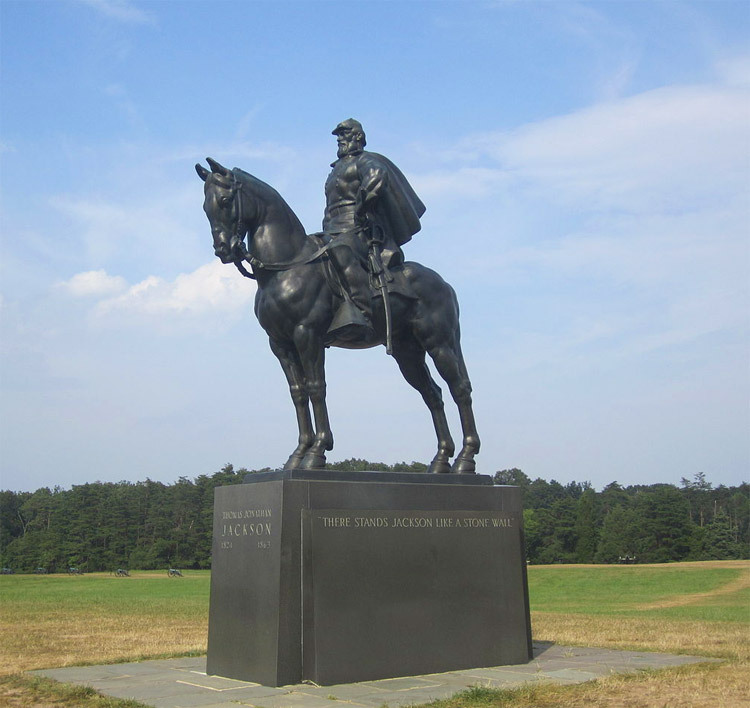 At Fredericksburg and Spotsylvania National Military Park you can explore the locations of the Battle of Fredericksburg (December 1862), The Battle of Chancellorsville (May 1863), the Battle of The Wilderness (May 1864), and The Battle of Spotsylvania Court House (May 1864). Each battlefield has a compelling story: an estimated 800 men burned to death at the Battle of the Wilderness because they were unable to crawl away from raging brush fires. The “Bloody Angle” at the Battle of Spotsylvania Courthouse resulted in more deaths than the 1944 D-Day campaign at Omaha Beach. The Battle of Fredericksburg was fought by a combined 172,000 soldiers, making it the largest Civil War battle in terms of participants. 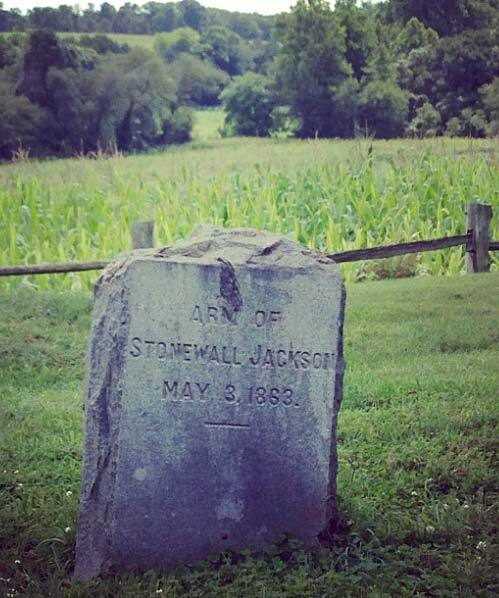 As for the Battle of Chancellorsville, it is home to the grave of Stonewall Jackson’s…. arm. During the intense fighting, the Confederate General was struck by three bullets, two of which shattered his left arm. After being evacuated for medical treatment, it was determined that the arm would have to be amputated. 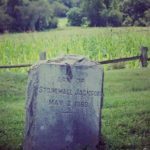 Stonewall Jackson was one of the iconic heroes of the Confederacy, so rather than dispose of the arm along with the rest of the medical waste, a military chaplain decided to save it. The arm was given a full Christian burial as part of a private ceremony and laid to rest at Ellwood Manor. 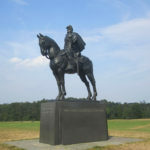 Jackson would eventually succumb to the same wounds that necessitated the amputation, but his arm would remain at the burial site located outside of Ellwood Manor in Chancellorsville. We highly recommend visiting each of the four battlefields if you have time. They all have their own fascinating artifacts and incredible scenery, and you can easily explore all four locations since they are so close in proximity to each other. The Battle of Gettysburg in Gettysburg, Pennsylvania is easily the most recognized site of the Civil War. There have been numerous movies and TV shows dedicated to the events, and countless photographs from the battlefield have made their way into American history books. Gettysburg was the largest battle ever fought on the North American continent, but it also has the distinction of being the bloodiest battle in the entire four year American conflict. 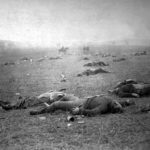 Three days of combat between the Union and the Confederates resulted in 7,058 deaths, 33,264 wounded and 10,790 missing. It’s estimated that two-thirds of all soldiers engaged in combat became casualties during this horrific battle in July of 1863. Four and a half months later, President Abraham Lincoln arrived to the deliver his iconic “Gettysburg Address” on the very same grounds. A monument featuring the words from the speech can be seen during your tour of the site. This is probably the most decorated and well-organized of all of the battlefields we have visited. In addition to various statues, signs, and monuments, the visitor center has an excellent film titled “A New Birth of Freedom,” narrated by Morgan Freeman, that provides both an introduction and an overview of the battle. You can also see a beautiful 360° Cyclorama painting that spans 377 feet in circumference and 42 feet in height. Created in 1883 by French artist Paul Philippoteaux, the panoramic artwork depicts the intensity of Pickett’s Charge, one of the key moments from the battle. There is a small fee to view the Cyclorama, but it is absolutely worth seeing. Free Civil War trading cards! 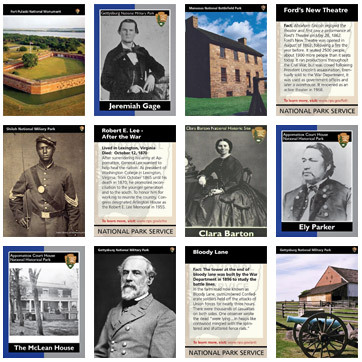 In honor of the 150th anniversary of the Civil War, the National Park Service is giving away free commemorative trading cards at Civil War battlefields, monuments, memorials and historic sites around the country. Each participating location has their own unique set of cards that showcase important people, and scenes from that specific event. 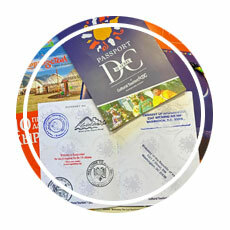 On the back of each card you’ll find additional details and facts related to the topic of each card. It’s a fun and educational way to learn about the Civil War and American history! There are a total of 103 cards that you can collect in the Washington, DC National Capital Region spread out over 11 National Park Service sites. You can also collect an additional 86 cards from 12 National Park Service sites in the Northeast Region which includes locations in southern Virginia, Maryland, Pennsylvania, Massachusetts and New Hampshire. The Civil War collector cards aren’t always advertised to visitors- so be sure to check with the front desk in each visitor center to see if they have any cards available. 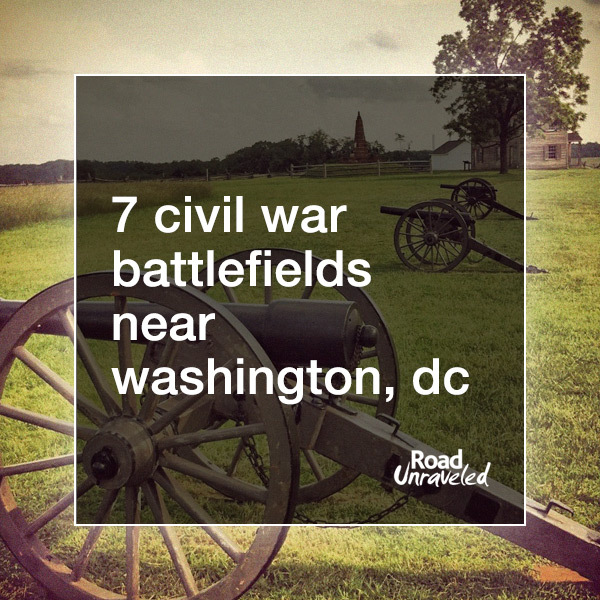 Ready to plan your visit to some of the Civil War battlefields near Washington, DC? This map includes all of the civil war battlefields we share in this article as well as a few other battlefields to check out! 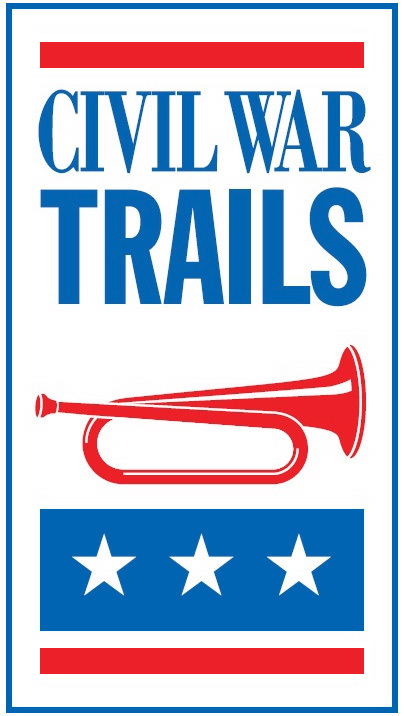 Visit the Civil War Battlefields! A vacation to Washington, DC has so much to offer. The options for tourist sites, museums, monuments, restaurants, and fun activities can rival just about any other major city in the United States. 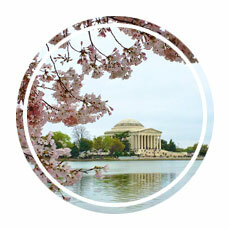 The one characteristic that really sets Washington, DC apart from other American cities is the amount of history that can be found both in town and on the doorstep of our nation’s capital in the neighboring areas of Virginia and Maryland. The Civil War battlefields are a great way to learn about our history and to reflect on the sacrifices made during some of America’s darkest days. Our country is still young compared to many of the other nations around the world, but we have a rich history and fascinating stories that are waiting to be told to those who are interested in listening. 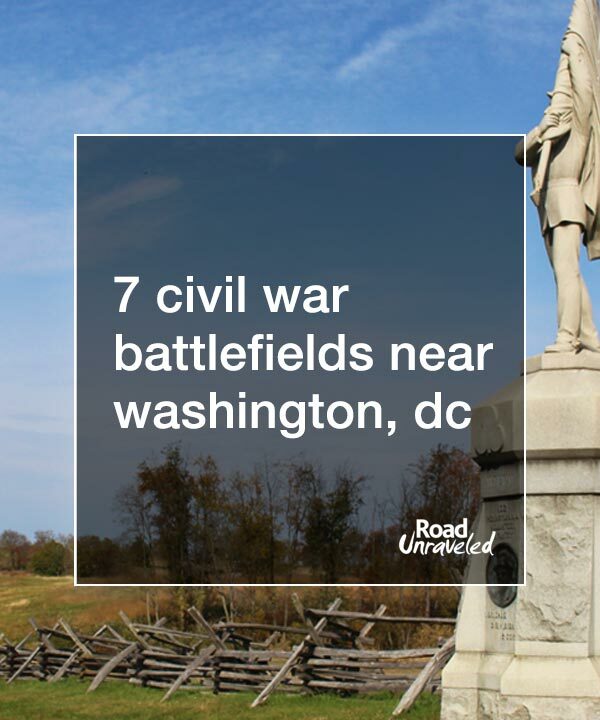 If you’re planning a trip to Washington, DC and you want to venture off the tourist path, then you should definitely consider visiting some of the the nearby American Civil War battlefields. 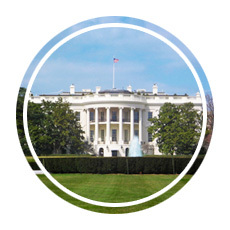 Planning a visit to the USA’s capital city? Here are a few more articles to inspire you!